Born at Orillia, Ontario on 13 September 1854, son of Donald and Mary Kennedy, he was educated at Orillia public schools. He farmed near Orillia from 1878 to 1895 when he came to Manitoba and farmed near Swan River for seven years. Later, he owned a farm at Rosser and was a dealer in registered shorthorn cattle. 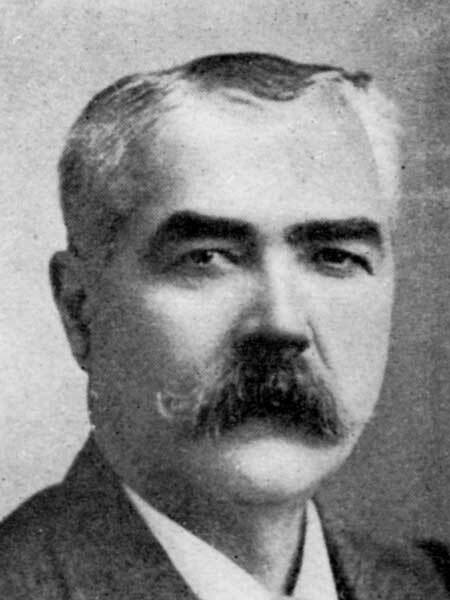 He came to Winnipeg in 1906 and was one of the original promoters of the Grain Growers’ Grain Company, serving as its Vice-President until his death. In 1877, he married Margaret Mary McDonald of Orillia, with whom he had four sons and three daughters. He served as Reeve of the Rural Municipality of Swan River. His recreations included lacrosse and rowing. In 1911, he lived 480 Spence Street, Winnipeg. He died at his St. James (Winnipeg) home, 235 Strathmillan Road, on 14 June 1929 and was buried in St. Mary’s Cemetery. Northern Who’s Who: A Biographical Dictionary of Men and Women, edited by Dr. C. W. Parker, Winnipeg: International Press Limited, 1916. “John Kennedy dies suddenly, aged 75,” Manitoba Free Press, 15 June 1929, page 1. Obituary, Manitoba Free Press, 17 June 1929, page 22.